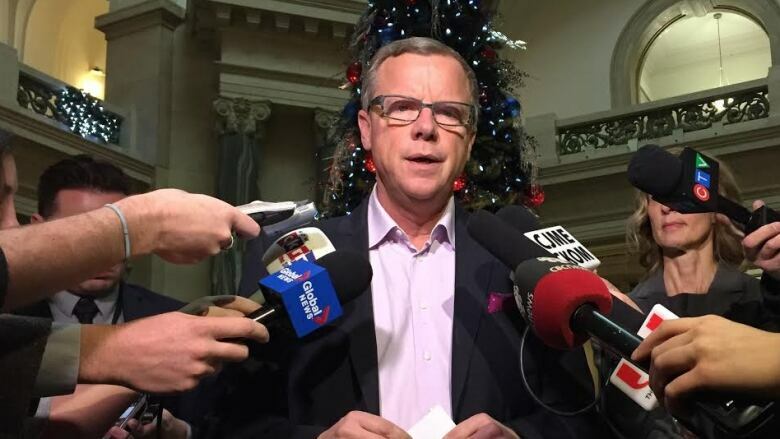 Saskatchewan and the federal government have reached a health-care deal, allowing the province to get new federal money for home care and mental health. The province has also reached a separate agreement in its dispute over private MRI clinics. Saskatchewan and the federal government have reached a health-care deal, allowing the province to get new federal money for home care and mental health, the federal government has announced. The province has also reached a separate agreement in its dispute with the federal government over private MRI clinics. 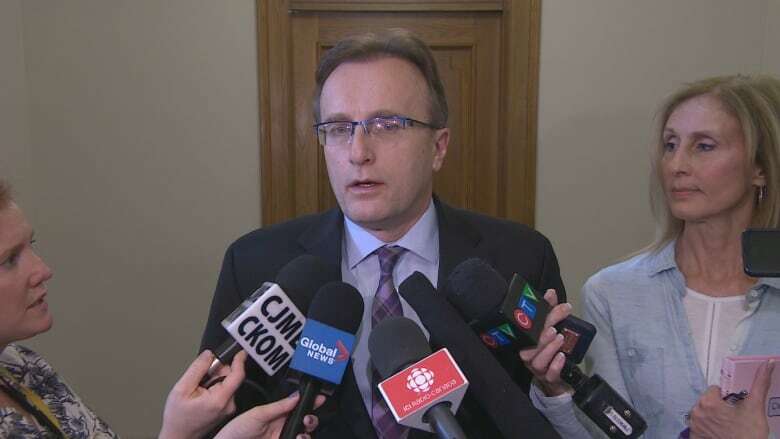 Saskatchewan will get a "reprieve" for one year, giving the province time to prove that private MRIs don't hurt the public health-care system, the province's health minister told reporters Tuesday. The province didn't sign onto the health care accord after federal-provincial negotiations last December. But after intense talks, Saskatchewan agreed to sign onto the deal Tuesday. Under the deal Saskatchewan will receive $190.3 million for home care and $158.5 million for mental health services over the next 10 years. The agreement comes one day after the federal government announced deals with Nunavut, Yukon and the Northwest Territories. New Brunswick, Nova Scotia and Newfoundland and Labrador completed deals in December. That still leaves the five most-populous provinces for the federal government to contend with: Ontario, Quebec, British Columbia, Alberta and Manitoba. Prince Edward Island has also not signed a health funding deal with Ottawa, but has said it continues to work toward an agreement. Despite striking a deal with Ottawa, Saskatchewan and the territories added their signatures to a strongly worded statement sent Tuesday by holdout provinces to the prime minister. "Premiers remain united and determined in seeking a multilateral agreement. Premiers also recognize that provinces and territories face unique local circumstances, which led some of them to sign bilateral health agreements. However, premiers representing 90 per cent of Canada's population continue to seek a fair deal for long-term health funding from the federal government," the premiers said. Those provinces have said the deal offered by Ottawa last December will further reduce the federal government's share of health spending to unacceptably low levels. In an interview with CBC's Power & Politics, Quebec Health Minister ​Gaéten Barrette said he was "a bit disappointed" to hear that Saskatchewan had made a deal, and he criticized the agreement on private MRIs. "We have a government that is willing to do anything, including breaking its own law, in order to strike a deal," Barrette said. Saskatchewan has been allowing residents to pay for an MRI test. In return, clinics must offer a scan, free of charge, to someone on the public waiting list. Jane Philpott, the federal health minister, wrote to her counterpart in Saskatchewan in November to explain her objection to Saskatchewan's arrangement. Philpott noted that under the Canada Health Act, the federal government was entitled to withhold funds from provinces that charged for medically necessary services. ​Federal officials said the MRI agreement with Saskatchewan is unrelated to the deal on funding. "We'll get a reprieve, if you will, for a year to have an opportunity to make our case to the federal government, to the federal health minister. I will certainly do that. We believe there's a good opportunity to reach a successful conclusion to that," Saskatchewan Health Minister Jim Reiter told reporters Tuesday. Philpott's office said in a statement that the Liberal government "fully supports the principles" of the Canada Health Act, under which patients get access based on medical need and not how much money they may have. "Minister Philpott is committed to working with Saskatchewan to strengthen our publicly funded, universal health-care system, while at the same time upholding the principles of the Act, and has asked officials to work with Saskatchewan officials over the next year in this regard," the statement said. Barrette also alleged the federal government has been "threatening" some provinces. Northwest Territories Premier Bob McLeod told Power & Politics that his government was not threatened. But he said the Northwest Territories has been assured it will receive additional funding for medical transportation and innovation.